Customer service is constantly evolving. A few decades ago, businesses considered customer service as an unnecessary expense. Now, companies view it as a competitive advantage in the marketplace. Consumers desire timely, resourceful help at their fingertips. Plus, the cost of call centers can be expensive and difficult to manage. To better serve customers, companies are moving toward call deflection. The key is to offer customers the best online channels to quickly solve their product or service questions. So how can you execute an effective online customer experience? From a traditional perspective, call deflection is merely about reducing the number of calls received at a support center. The notion is that less calls equal more time to talk to other customers or the need to hire fewer customer service representatives. In real life, this can result in managers creating impossible scenarios for customers to talk to their agents. These obstacles tend to dehumanize the customer interaction. What matters is solving the customer’s issues effectively. Call deflection should center around giving customers their desired answers. Customers want solutions, not excuses. And it all starts with empathizing with the consumer. Consider what they want achieved. Are they returning an item? Do they want a full or partial refund? Are they having problems with their account? For instance, Apple produces several products. Therefore, unique support must be provided to meet different customer needs. Abandon the idea that call deflection is an unworthy technique only used by unscrupulous businesses. Instead, consider it as a way to support your customers in a different way. Position your company to handle more strategic, value-added issues through call deflection. Even though self-service may appear foreign to businesses, it’s vital to improving your overall customer satisfaction. Why? Because customers want it. Consumers don’t expect you to be available all day and night. However, they do expect the ability to find quality answers to their questions 24/7. So, what tools can help your team increase call deflection? Alternative ways to serve customers online include live chat, community forums, and knowledge management databases. Amazon gives its customers an opportunity to share insights about new products, ask questions about shipping, and swap comments in their group discussions. These options will help “deflect a high volume of frequently-asked-questions from high-cost, high-effort channels such as phone, email and support ticketing.” As a result, your customer service team can deliver better customer experiences. For example, community forums give customers a ‘show me, don’t tell me’ choice. These forums enable consumers to learn from one another. Reading interactions in the community will empower customers to participate. It also offers a sense of transparency about your company. When done right, call deflection benefits both the customers and the organization. Customers receive solutions to their problems, while your team earns more time to focus on other pressing demands. When creating an online customer experience, identify the reasons why customers contact customer support. Are consumers experiencing billing problems? 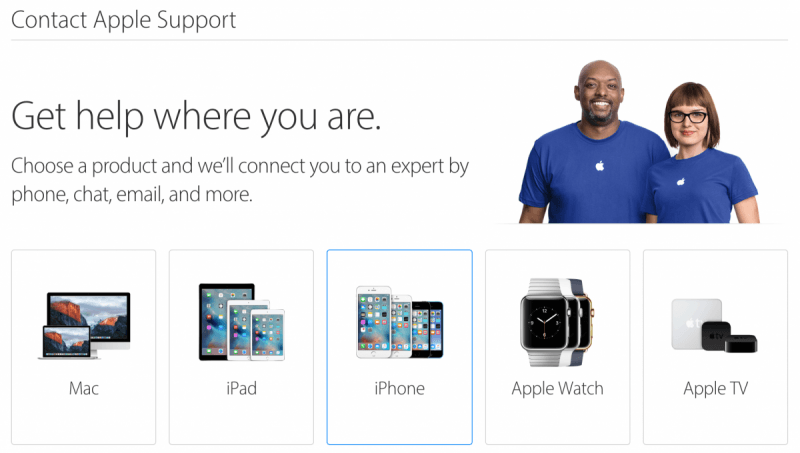 Do they need assistance with product setup? Or do they just want to reset their login password? Work with your customer service and UX teams to develop specific plans. Drill down into support categories that examine the root cause of the call. Then, create tools to answer your customer’s concerns online. Focus on improving your site’s usability, like on-screen distractions and convoluted copy. Call deflection isn’t useful if your website is unappealing and filled with 404 errors. 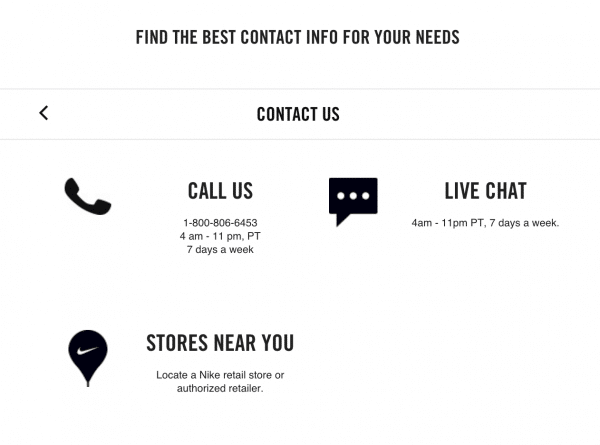 Nike’s contact page is simple, yet effective. Customers have the option to call, live chat, or locate the nearest store to receive assistance. Forrester research indicates that “75% of consumers seeking customer service online turned to another channel when a firm’s website let them down.” In addition, if customers can’t find their answers online, they will turn to more expensive channels, like phone or email. Customers must use your site with ease. Think about whitespace, paragraph formatting, and bullet points. Also, consider limiting the amount of scrolling, positioning CTAs in a highly-visible area, and reducing the number of field forms. A defective online experience won’t help call deflection. So, overcome website challenges first. Call deflection doesn’t mean call avoidance. “Rather than ducking customers’ inquiries, successful call deflection will save potentially millions of dollars in contact center costs and boost satisfaction among consumers who prefer to be self-reliant,” says Diane Clarkson, a former senior analyst at Forrester. 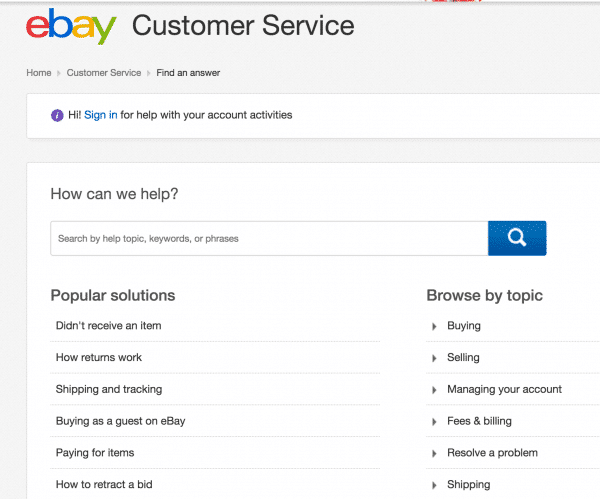 Ebay places self-service content on their contact page. Even though some people may skip over the self-serve section, it’s an effective way to give other customers a different option. For example, a popular solution, like “how returns work,” can easily be answered through a knowledge management database and may not require live assistance. 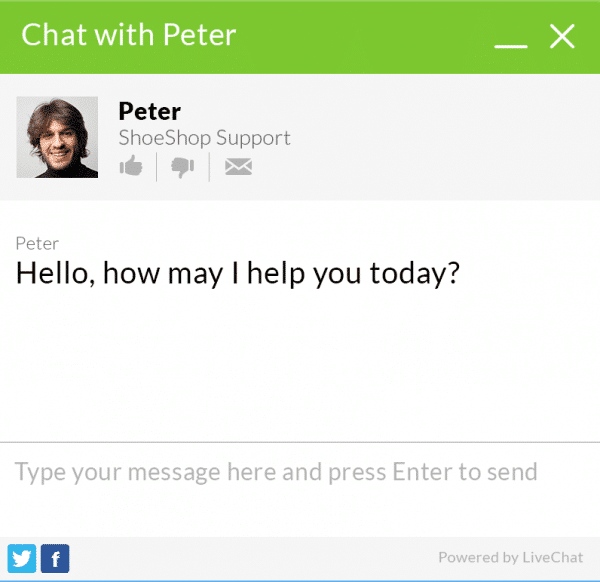 Orange, a major telecom company, turns undecided visitors into customers with their live chat. Live chat agents are a resource to acquire new customers and to renew plans for existing customers. Currently, Orange handles 800 chats per day. For quality control, live chat supervisors monitor archived chats. Feedback is also recorded from customized post-chat surveys. With the help of a live chat platform, Orange earns an additional 10-12% in ecommerce sales. Customer service still plays an integral role in business. However, how companies serve their customers is changing. Learn to support your consumers differently with call deflection. Offer alternative channels, such as live chat and knowledge management databases, to answer customer concerns. And focus on improving the overall online experience.